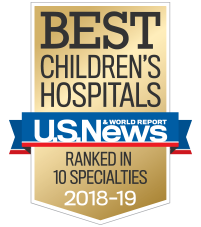 We are home to one of the largest and most experienced pediatric plastic surgery teams in the Southeast. Center for Cleft and Craniofacial Disorders: This center offers a multidisciplinary approach to evaluate and treat children with craniofacial conditions. Facial trauma: From diagnosis through surgery and follow-up care, our team treats children who have congenital or acquired facial nerve disorders and facial fractures. Our pediatric-trained plastics surgeons use special techniques to help lessen scars and shorten recovery periods. General plastic surgery: We provide care to children who have acquired or congenital (at birth) problems that may impair functions or affect physical appearance, such as congenital nevi, skin tags, burns and scars. Postoperative reconstructive surgery: Our pediatric plastic surgeons provide postoperative reconstructive surgery to restore a child’s mobility, functionality and appearance. Vascular Anomalies Clinic: For children with complex vascular anomalies, we offer a multidisciplinary, in-personal approach to treatment. This clinic is the only clinic of its kind in the Southeast. We are home to the largest and most experienced pediatric plastic surgery and craniofacial teams in the Southeast. Our pediatric plastic surgeons are specially trained and experienced in caring for children of all ages, from babies to young adults. Our team uses surgical equipment designed to meet each patient’s unique needs. And, a pediatric anesthesiologist is guaranteed at Children’s. Our team also collaborates with Emory University School of Medicine and Georgia Tech to leverage research to help maximize each child’s quality of life.